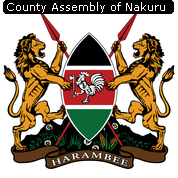 The Constitution of Kenya, 2010 creates a decentralized system of government wherein two of the three arms of government; namely the Legislature and the Executive are devolved to the 47 Political and Administrative Counties as provided for under Article 6 and specified in the First Schedule. The primary objective of decentralization is to devolve power, resources and representation down to the local level. To this end, various laws have been enacted by Parliament to create strategies for the implementation framework and the adoption on which objectives of devolution can be achieved.